Make a business out of three- and four-star hotels on prime beachfront in Dubai? And that too on an untested island location that is being created out of the seas? Well, it’s all part of Nakheel’s grand master plan. 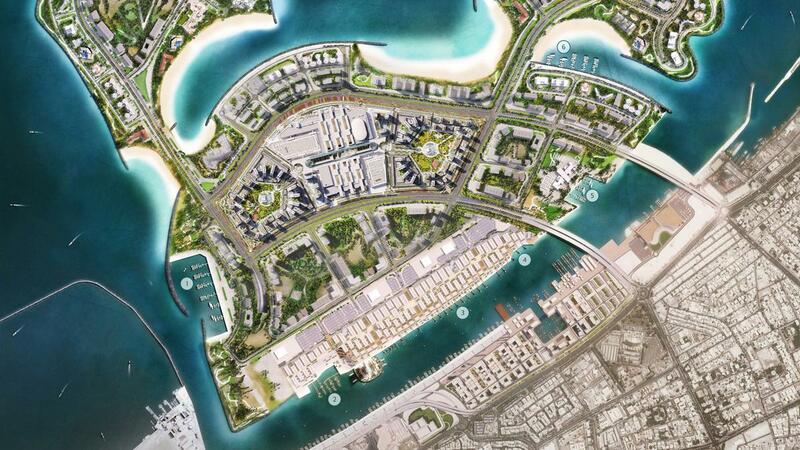 And by the looks of it, Dubai’s master-developer has every chance of making this strategy click on Deira Islands. Just as it did with Palm Jumeirah and the upscale hotels and resorts that dot its beachside landscape. “Nobody in Dubai has hotels in the three or four-star category right on the beach,” said Thorsten Ries, Managing Director — Hospitality and Leisure at Nakheel. (The division currently oversees a Dh5 million portfolio, including its expanding interests in owning and operating F&B properties.) “What we are doing with Deira Islands is giving that segment a destination to establish its identity relatively quickly and efficiently. It’s a segment that’s not here in Dubai yet. In the last 12 months and more, Nakheel has signed up joint ventures with a host of global hospitality majors, Hilton and Accor among them. And specific to Deira Islands — where Nakheel plans to create a full-fledged waterfront city — it has struck partnerships with Spain’s RIU and the Thai group Centara for beachside hotels. “And we are not just bringing in new brands to Dubai … but brand new concepts as well,” said Ries. “The 800-room RIU four-star resort will introduce an “all-inclusive” concept, something that has worked really well in the Caribbean and has not existed in Dubai. “What it means is that every guest who books will have access to an all-inclusive package — that’s unique in the four-star segment. For travellers on more modest budgets wanting a bit of beach and sun in Dubai, Deira Islands is where they need to be.” And it will not just be a handful of hospitality options either for Dubai’s next island destination. Well over 50 plots have been marked for such use on the cluster, which will be built by private developers as well as Nakheel. For Nakheel specifically, eight of its current portfolio of 17 hotels — delivered or under development — eight will be on these Islands. The site for the Centara resort is under mobilisation and should go to tender shortly. Work has started on the RIU and is due to open late next year, and the first hotel on that development. “We are not depending entirely on the Expo 2020 — our plan is to open all of our confirmed projects in the next two to five years,” said Ries. “With three- or four-star properties, the ideal return on investment would be within 10 years. In fact, that would be quite a good time frame. Nakheel will keep those numbers in mind for its upscale hotel projects, St. Regis and the Raffles, both on The Palm. The 289-room St. Regis is part of The Palm Tower and the adjacent Nakheel Mall project, and by the looks of it is headed for a late 2019 completion. The Raffles signature will be imprinted on a new twin tower (PALM360) on The Palm’s crescent. The alliance was confirmed late last year and will represent the second Raffles — part of the Accor Group — property in Dubai. “Obviously, other companies that pitched for that location — but we found that Raffles would be a perfect fit,” said Ries. “We will build 125 hotel rooms and sell the 333 branded residences in the other tower. We have not released the residences for sale yet.” So far, the hotels in the Nakheel portfolio are done through joint ventures or on management contracts with hotel operators. “We are not yet there about managing our own properties,” Ries added. “The focus at the moment is on the beach and mall locations. We will continue with those plans for the next couple of years.